We recently delivered some boulders to a customer that has used many of our items in his garden. 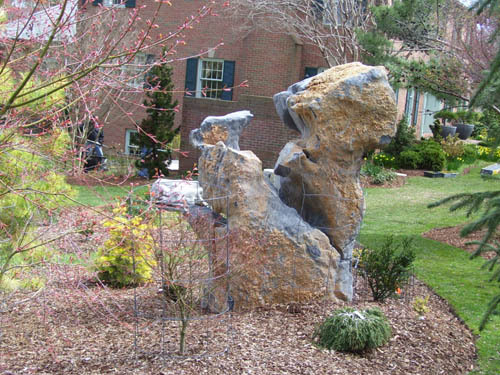 They did a wonderful landscaping job and if you remember the dragon stone above used to sit on our property on route 60. They turned it straight up rather than sitting it on its side which gives it a whole new look. 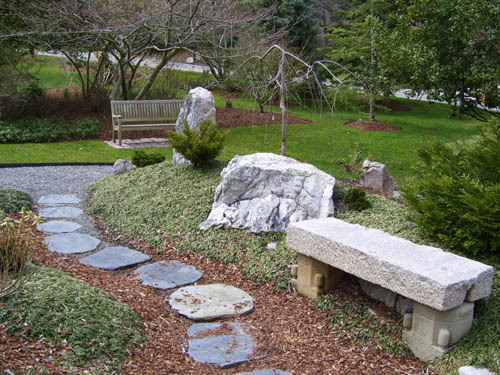 The pathway is made out of the tumbled stones we sell that come in pink or green. I left a phone message concerning Stone Trough Planters on 4/12/11. 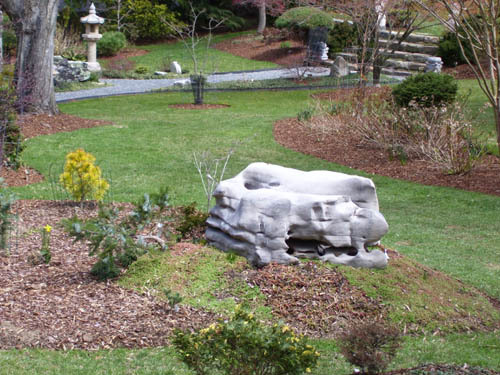 I am looking for pricing on approximately a 3’x2’x 10″ deep antique stone trough planter for a project I am working on. Can you help me on this? It would be delivered to Verona, WI.